Monrovia – The Institute for Research and Democratic Development (IREDD) has released its quarterly legislative performance cataloging the performances of lawmakers for the period in review. In the report, the two biggest political parties in terms of the number of lawmakers they have in the legislature, Unity Party (UP) and the Coalition for Democratic Change (CDC) were highlighted in the report. 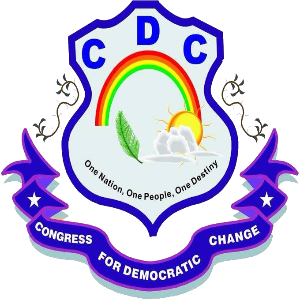 The Coalition for Democratic Change is the present ruling political party. It has the total of 21 representatives in the House of Representatives. In a recent monitoring performance report done by IREDD, the Coalition for Democratic Change (CDC) obtained the total of 355 present times at the House of Representatives and obtained the cumulative average of 1.28%. Moreover, six of its members attended all of the 21 plenary sittings and got A+ or 100%. On the Contrary, six members of the ruling CDC obtained F and D in plenary attendance. CDC obtained the total of 85 absences at the House of Representatives and 11 distant times. For the Unity Party, which is the immediate past ruling party, they obtained the total of 297 present times and acquired 1.41%. Only one Representative from UP attended all of the 21 plenary sittings and obtained an average score of 100% or A+. On the contrary, four Representatives obtained an average score of 50.3% and below and got F in plenary attendance. UP obtained the total of 76 absences and forty five distant times at the House of Representatives. In the IREDD report card, a total number of 19 bills were recorded in committee rooms for the period under review. Of the 19, nine had been deposited at the House of Representatives and 10 at the Senate. According to IREDD, they recorded a total number of 13 bills passed by the Legislature. Four came from the House of Representatives and nine came from the Senate. For the period under reviewed, members of the House of Representatives obtained the total of 1132 present times with seven representatives obtaining the highest present times with a score of 100% or A+. Those Representatives include Kanie A. Wesso of Gbarpolu County, Matthew Joe of Grand Bassa County, Bhofal Chambers of Maryland County and Matthew Zarzar of Sinoe County. Others include Ivar Kokulo Jones of Margibi County, Samuel G. Korgar of Nimba County and George S. Bolley of Grand Gedeh Country. “On the contrary, three representatives got the lowest in plenary attendance. Representatives Vicent S. T. Willie of Grand Bassa County, Hans Barchue of District #1, Grand Bassa County, Bob H. Sheriff of Grand Cape Mount County and Emmanuel Zoe Pennue of Grand Gedeh County. They all got below average by obtaining 47.23% or F in plenary attendance. For the House of Senate, a total of 495 present times were recorded at the Liberian Senate with five senators obtaining the highest present times with an average of 100% or score A+. The senators are Albert Chie of Grand Kru County, J. Gbleh-Bo Brown of Maryland County, Henrique Togba of Bong County, Morris Saytumah of Bomi County and Augustine Chea of Sinoe County. They all obtained an average score of 100% or A+ in plenary attendance. On the contrary, Sen. Edward Dagoseh obtained the lowest present times by scoring 38.2% or ‘F.’ “We wish to note that Senator Dagoseh has been sick,” the report added, however. During this reporting period, there were a total of 572 participation times in the Liberian Senate. Five senators obtained the highest participation. They are J. Gbleh-Bo Brown, J. Milton Teahjay of Sinoe County, George Tengbeh of Lofa County and Matthew N. Jaye of River Gee County. On the contrary, four senators obtained the lowest plenary present times those senators include Sen. Prince Y. Johnson of Nimba County, Marshall Dennis of Grand Gedeh County, Edward B. Dagoseh of Cape Mount County and Thomas Grupee of Nimba County. IREDD Executive Director Herald Aidoo is also calling for the leaderships of committees, including Standing Committees to be restructured to reflect the level of knowledge, effectiveness and willingness of committee members to execute their assigned task. “The Legislature should make sure that quarterly performance reports by government ministries and agencies benefiting from national budget are produced. This is upheld by the state’s budget law which is a product of the every Legislature. This will help the public cross-check the level of accountability and transparency measures used by public officials in handling taxpayers’ funds. IREDD is also recommending to the 54th Legislature a review of its Standing Rules on secret sessions in view of making legislative deliberations, particularly the workings of Legislative Committees, more transparent and participatory. “Furthermore, they should review their standing rules on attendance so as to penalize lawmakers, who are in the constant habit of leaving session after roll call and those who continued to gain strength in lateness.